A major integrative health initiative is underway throughout central and South America that goes by a different name. 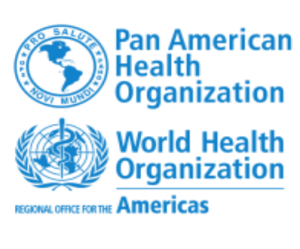 The charge from the WHO, and the Pan American Health Organization (PAHO) that leads initiatives in this hemisphere, is to discover the best uses of traditional and complementary medicine “products, practices and practitioners” in meeting the WHO-PAHO goal of primary care for all. While the focus is on implementing in this hemisphere the recommendations in the WHO’s Traditional Medicine Strategy-2014-2023, the work is profoundly integrative. 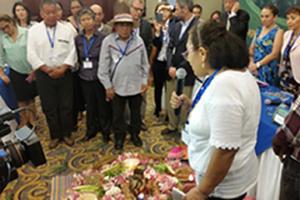 Over a three-day meeting in early June 2017, WHO-PAHO convened national leaders in traditional and complementary medicine from nearly 21 Western Hemisphere nations to share and explore their distinct national strategies on traditional medicine. The participants ranged from governmental agency heads to village traditional healers. The meeting also included a smattering of complementary and integrative medicine representatives from North America, Australia and Europe. Most from the robust list of participating nations—Argentina, Belize, Bolivia, Brazil, Canada, Chile, Colombia, Costa Rica, Cuba, Ecuador, El Salvador, Guatemala, Guyana, Honduras, Mexico, Nicaragua, Panama, Paraguay, Peru and Puerto Rico—made 10-30 minutes country reports, the slides for which have been made publicly available. These “experience exchanges” substantially followed a PAHO format and a useful insights into the diverse activities in traditional and complementary medicine. The meetings followed 2015 signings of agreements between PAHO and three international academic organizations, and one naturopathic medicine organization, Natural Doctors International (NDI), as collaborative research partners in promoting the WHO-PAHO traditional and complementary medicine agenda. In Australia, the Memorandum of Understanding was engaged with the Australian Research Centre in Complementary and Integrative Medicine. It’s director Jon Adams, PhD and global integrative medicine maven Jon Wardle, ND, MPH, PhD each presented. Wardle is pictured in the photo with Daniel Gallego-Perez, MD, DrPH (c), PAHO’s organizer for the traditional medicine activity. In addition, Ryan Bradley, ND, MPH attended as a representative of the National University of Natural Medicine, Tabatha Parker (president, NDI), as well as Jose Angel Diez (Director, Programa Philippus -Spain), all MOU signers. Other participants from abroad included: Alejandro Chaoul, PhD, from MD Anderson, representing the Academic Consortium for Integrative Medicine and Health; and Emmeline Edwards, PhD, from the NIH National Center for Complementary and Integrative Health. I attended as editor-in-chief of the Journal of Alternative and Complementary Medicine to present on collaborative organizing strategies used in North America to advance integrative health. Presentations from each are at this PAHO site. Since the meeting, the initiative has continued through a series of conference calls. The group is seeking to optimize means of develop and supporting the network of interested parties. Plans are being developed to create a resource center that will offer links to “gray literature” as well as relevant peer-reviewed studies. The developments leading up the June meeting mark a reawakening of PAHO traditional medicine activity that was relatively robust through 2007. Driving the new work has been Socorro Gross, MD, MPH, the former Assistant Director of PAHO who presently works as PAHO’s country lead in Nicaragua. 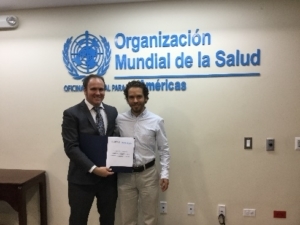 Ricardo Fabrega, MD, MPM heads up the initiative out of PAHO’s Washington, DC office with Gallego-Perez as the day-to-day organizer. The hosting through the government of Nicaragua has been facilitated through the interest in complementary and traditional medicine of the nation’s vice president and First Lady, Rosario Murrilo. Comment: Since the honor of involvement in 2012 and 2013 with the development of the WHO Strategy brought me closer to global governmental activity on traditional medicine, I have been struck by a sort of “parallel play” taking place globally. There, on the one hand, the “integrative health and medicine movement” in the more highly-resourced world. Then there is this charge in the less-resourced world—powered by WHO/PAHO—to figure out how to best use traditional medicine products, practices and practitioners to achieve primary care for all. Editor’s note: This article is not edited and the authors are solely responsible for the content. The views and opinions expressed in this article are those of the authors and do not necessarily reflect the official policy or position of Integrative Practitioner. Integrative health veteran Alyssa Wostrel tabbed to lead "The Collaborative"